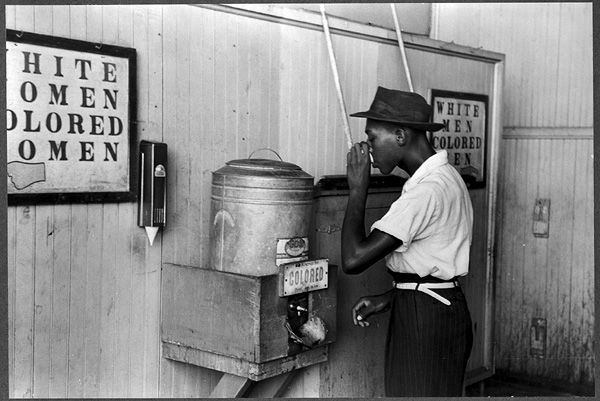 – Analysis : It is clear that colored people suffer from the discrimination in public places like where they are allowed to drink water. And in this picture, their water tank is very small and dirty. Because white people believe that colored people do not have the same class with them and they just receive poor services. – Analysis : Men, mostly, were working and earning the income, while women inside were the ones busy working for the daily housework such as cooking, washing and taking care children. 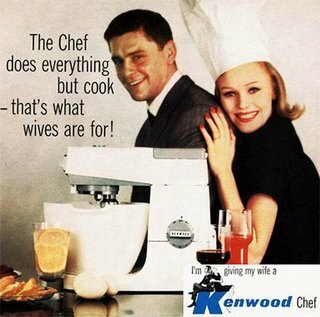 In this advertisement, the woman stands behind the man and the script “the Chef does everything but cook- that’s what wives are for!” shows the men’s opinion about their wives duty. – Analysis : the word they use to call a police “a cop” like the way of criminals. 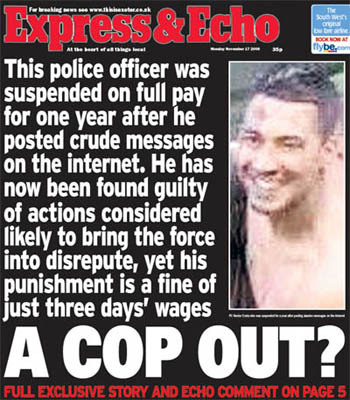 This title can cause a misunderstanding about the police and also cause many controversial comments from the readers. Các bạn vào wordpress.com => sau đó sign up với địa chỉ email của mình. Như vậy, các bạn lập 1 blog riêng, mới hoàn toàn và độc lập so với blog ulis09e14 của lớp. Bước 2: Thông báo địa chỉ email ĐÃ ĐƯỢC DÙNG ĐỂ LẬP BLOG WORDPRESS cho Hoàng Hà. Các bạn chú ý: Chỉ khi nào lập xong trang wordpress của mình, các bạn mới thông báo địa chỉ cho tớ! Chúc lớp mình học tốt!